In the mid 1990s, Full Moon founder Charles Band and legendary stop-motion animation effects artist David Allen (Equinox, Willow) set out to make The Primevals, the most ambitious Full Moon feature ever and a passion project of Allen's that he directed in Romania and the Italian Alps. Band and Allen planned for a long post-production period in which Allen would create hundreds of intricately designed and animated effects shots. But when Allen fell ill, eventually passing away in 1999, the highly anticipated film sat unfinished, with Full Moon fans all over the world wondering if they would ever be able to see Allen's now-mythical magnum opus. Well, it looks like fans of Allen's and stop-motion generally may get their wish! Full Moon has launched a crowdfunding campaign to help finally bring David Allen's larger-than-life-retro-sci-fi epic to lustrous life. When released, The Primevals Special Edition Blu-ray set will feature two alternate edits of the film. The first will be the new, completed cut overseen by producer Charles Band. The second will be the "director's cut"-- faithfully assembled as David Allen intended and containing special animatic storyboards representing the unrealized shots from The Primevals. Both films will make for a fascinating comparative study, creating the definitive experience. 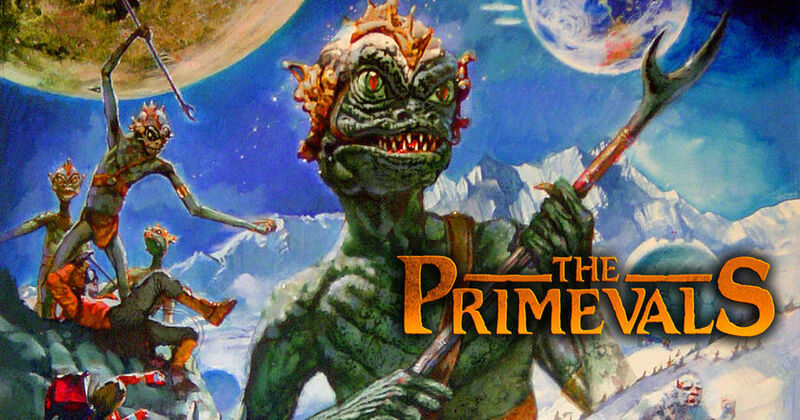 A third disc will premiere a feature-length THE PRIMEVALS documentary from Daniel Griffith of Ballyhoo Motion Pictures loaded with never before available behind the scenes and archival footage from the many years of this film's amazing journey. More details can be found on The Primevals Indiegogo page.